Viva la dolce! : SNOW DAY! Living in Canada, one becomes accustomed to dealing with snowy weather. However, every once in a while, Mother Nature decides to test our limits and send us a curve ball - or should I say a gigantic snow ball! Today, is one of those days. As Toronto battles #TorontoStorm2015, most are staying off the roads and close to home. 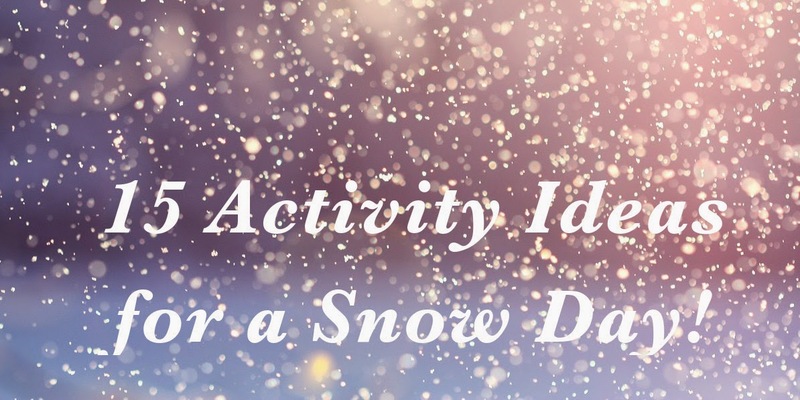 If you find yourself twiddling your thumbs on this snowy day, don't fret - here are 15 activity ideas you can try out! snowballs, channel your inner kiddie and jump in! keep fit in the snowy weather. 4. Bundle up, take a stroll in the snow and admire the beauty of Mother Nature. 5. Play a good ol' game of hockey. 6. Relax in an outdoor hot tub. 7. Put on a onesie and nestle under a blanket with a nice warm drink ... ahhh! 8. Bake a batch of your favourite sweets. 9. Whip up a big batch of comforting soup. 10. Cozy up by the fire and watch the snow fall. 11. Play cards, do a puzzle, or a enjoy a board game. 12. Curl up with a good book or magazine. 13. Get out those DIY crafts you've been wanting to do! 14. Organize, organize, organize! Forget "spring cleaning," do a "winter refresh." time to get in touch with loved ones.